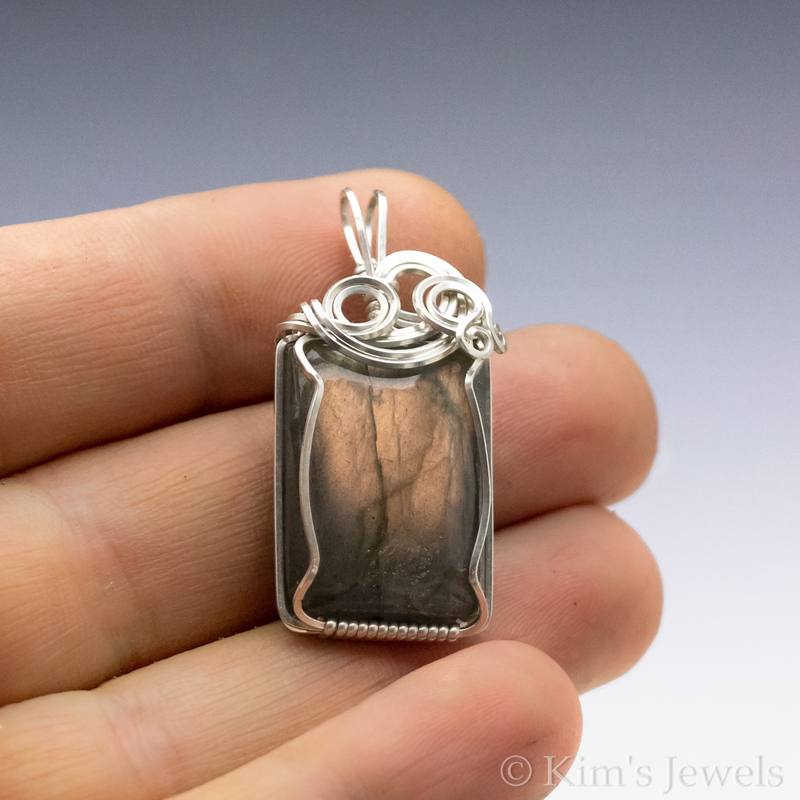 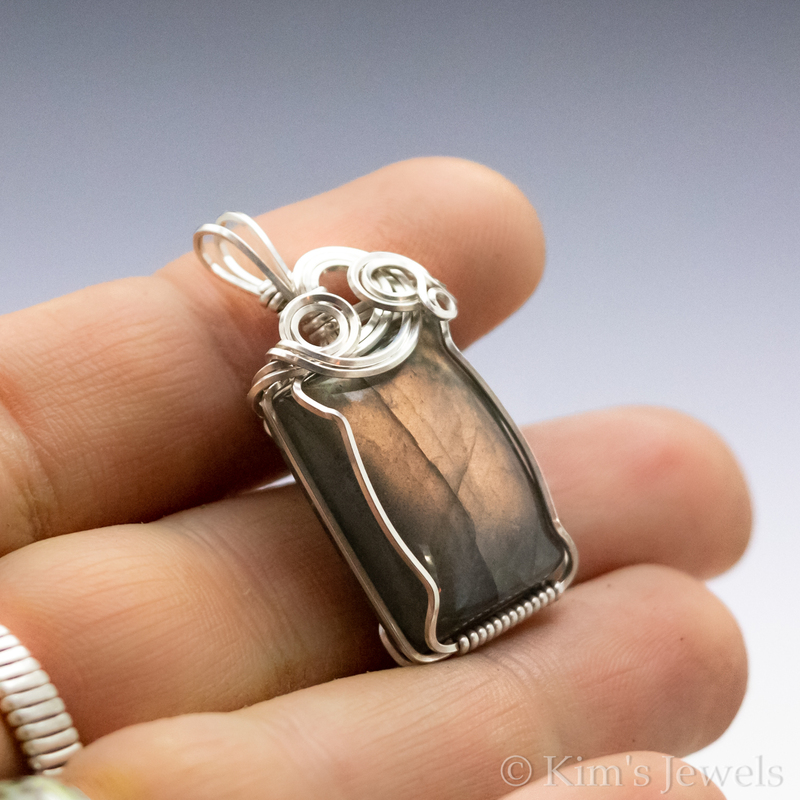 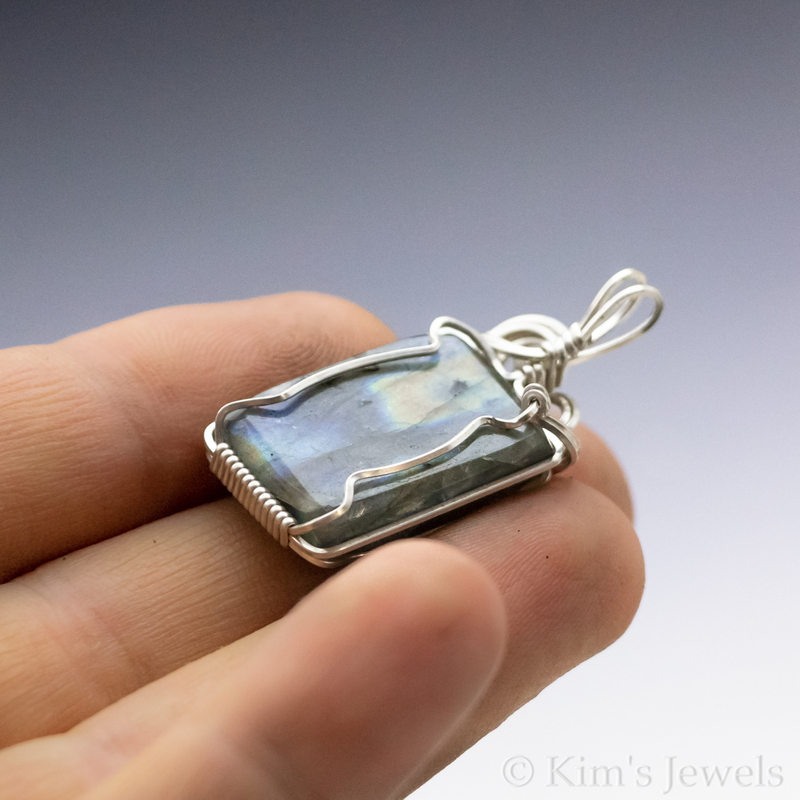 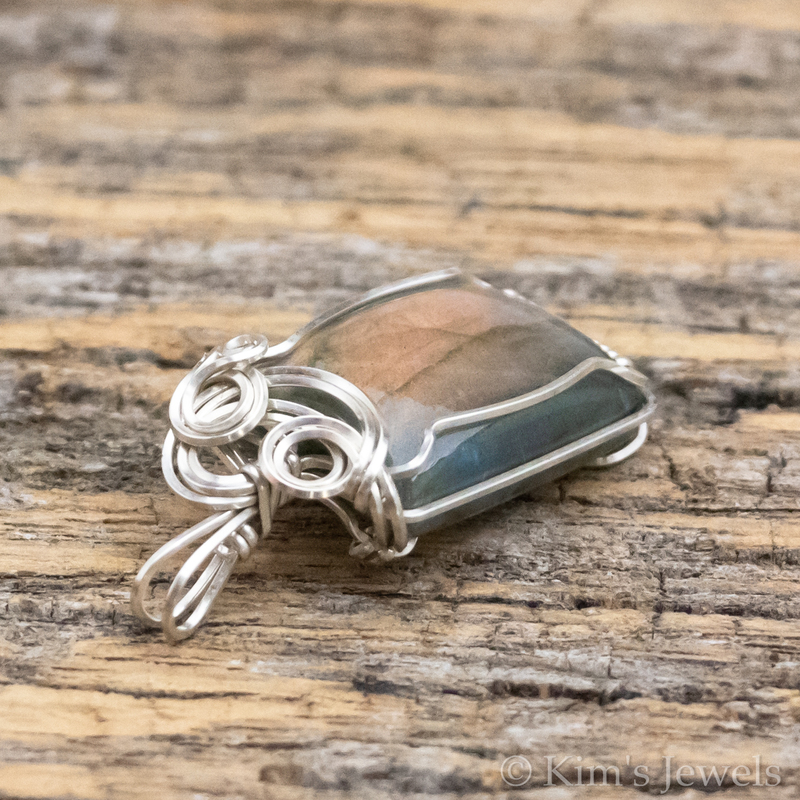 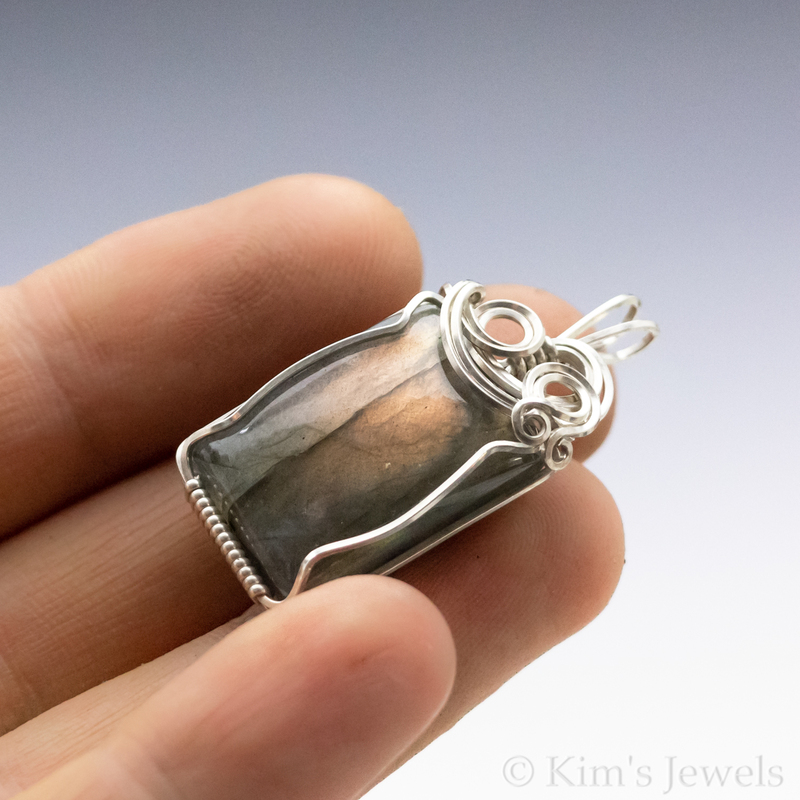 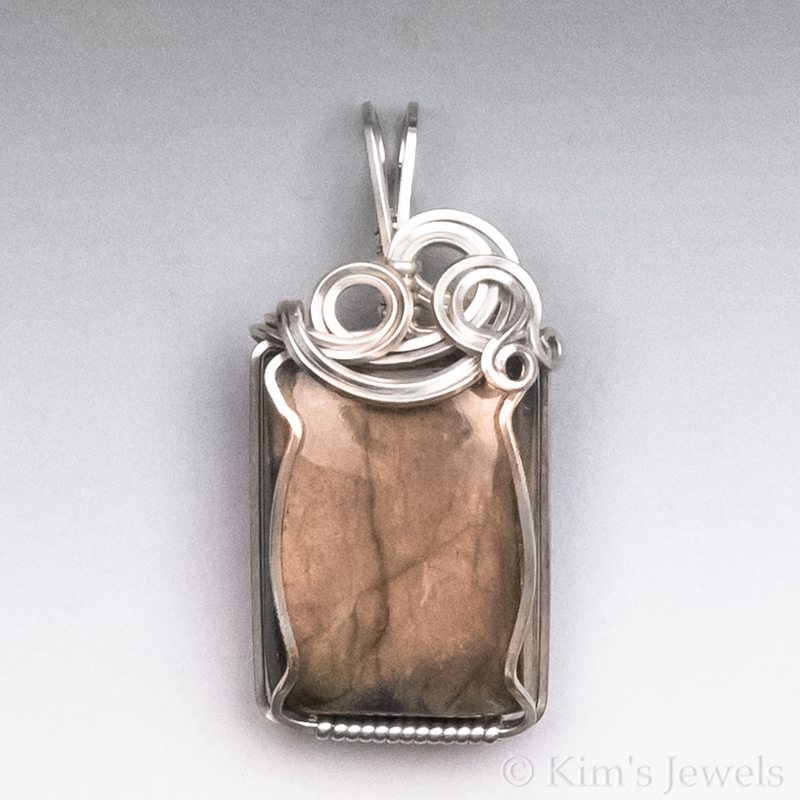 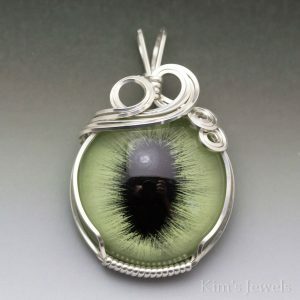 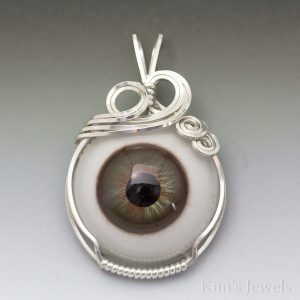 This pendant is hand-crafted with 22 gauge sterling silver square wire and a Labradorite stone. 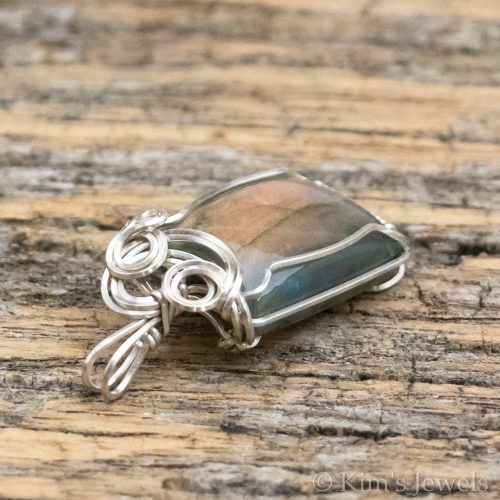 This stone has a bright orange/peach flash. 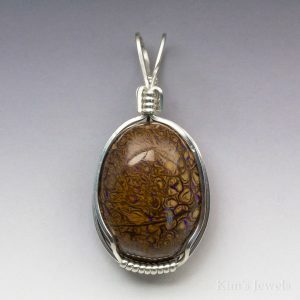 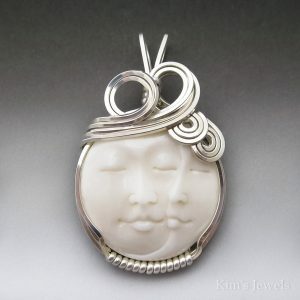 The pendant measures 5/8″ x 1-1/2″. The photo is enlarged to show detail.